Yesterday they pushed the first snapshot release for 2018, the team faced many challenges due to Meltdown and Spectre, who’s patches available with kernel version 4.15. 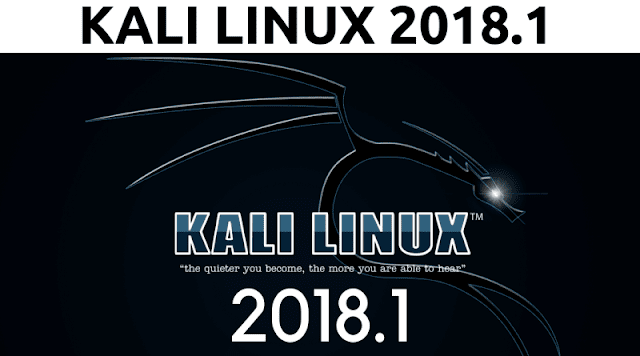 With last November update Kali Linux 2017.3 the team added new tools to the distribution. Current release consists of a new kernel 4.14.12 with a lot of new features. With the new kernel update, Secure Memory Encryption added in newer AMD processors, which enables automatic encryption and decryption of DRAM. So even an attacker with physical access not able to read the memory, it makes the system immune from cold-boot attacks. In the new kernel versions 4.14, the upcoming processors will support 4 PB of physical memory and 128 PB of virtual memory. Current CPU’s have a limit of 64 TB of physical address space and 256 TB of virtual address space (VAS). Gen 2 Hyper-V virtual machine introduced which is UEFI-based, shrinking and expanding of the Hard disk drive is supported. It also includes support for Dynamic Memory, Network Monitoring/Scaling, and Replication. new release consists of updates to a number of packages including some most familiar tools including zaproxy, secure-socket-funneling, pixiewps, seclists, burpsuite, dbeaver, and reaver. You can find the change log here.